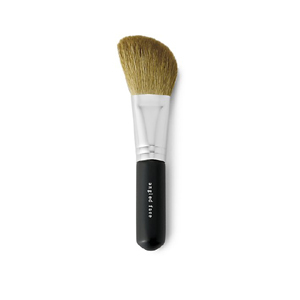 Bare Escentuals Angled Face Brush – For more control and a perfect finish, try the Angled Face Brush, which works great with bareMinerals All-Over Face Colors and Radiances. 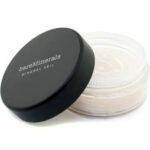 The soft-tapered bristles hug your cheek contours and provide a light-to-medium application. 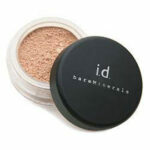 Made of only the finest quality of hairs, it’s designed to buff on just the right amount of bareMinerals for a natural, flawless look. – Brush is made of Goat Hair. Directions: To extend the life and beauty of your makeup brushes, cleanse brushes regularly with Well-Cared For Brush Conditioning Shampoo or a gentle shampoo or soap.